I was invited to the media launch of Promina held at Spotlight, Don Chino Roces Avenue, Makati City this morning. I went with my younger sister and fellow mommy blogger Renz. 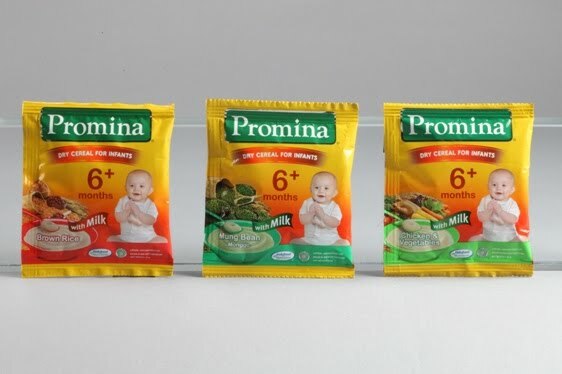 Promina is a nutritious food supplement for children aged 6 months to 2 years. It is the top selling baby food product in Indonesia and other Asian countries. 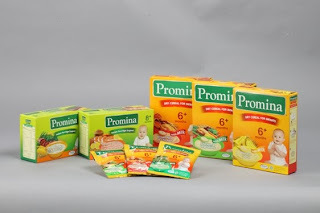 Promina is produced by Indofood, one of the largest food conglomerates in Indonesia. 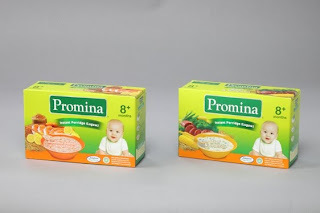 Why Should Mothers Choose Promina for their Babies? Promina is made from all-natural ingredients and contains 15 vitamins and 8 minerals that aid in the development of healthy brain cells. Promina also contains prebiotic FOS (Fructo Oligo Saccharide) to help the digestive system, making it the perfect complementary food for breast milk. What’s more, Promina has no preservatives, artificial colors, sweeteners and MSG. Breast milk is the ideal food for infants from 0 to 6 months. As babies grow older, however, they will be needing more calories and nutrients, so in addition to breast milk, more nutritious foods should be given to babies from 6 months onwards. These are called complementary foods. Complementary foods help infants get accustomed to eating the foods that adults eat and acquaint them with the different tastes and textures of food. 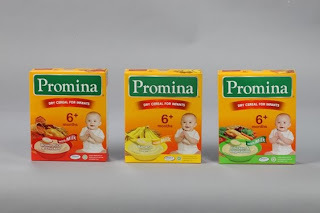 Seven flavors of Promina will be introduced to the Philippines, namely: chicken and vegetables, brown rice and chicken, brown rice, mung bean, banana, beef and broccoli, and salmon in lemon sauce. With these choices of gourmet meals for your little one, you’ll definitely find one that your baby will love. Mothers on a budget do not have to worry about the price of Promina because it’s quite affordable. 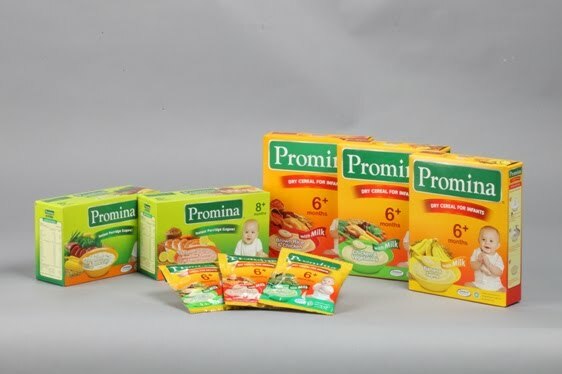 You will be surprised that Promina is available in sachets for as low as Php8.75. 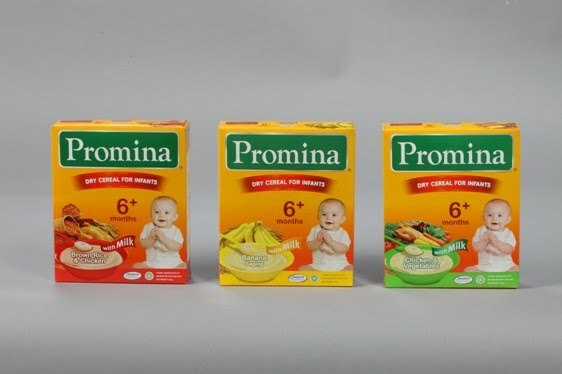 You can also purchase a box of Promina with 4 sachets for only Php49.00 or a box of Promina for Php68.00. Promina will also be sold in leading supermarkets and sari-sari stores. Indofood is the leading total foods solution company in Indonesia. It produces noodles, dairy products, food seasonings, snack foods, biscuits, flour, cooking oil, pasta, and syrup. TAO Corporation is a community of companies that is focused on supply chain services. It started as a molasses trading company and now has four core businesses, namely: health and wellness, distribution and marketing, resources, and services. TriDharma Marketing Corporation is the consumer brands distribution arm of TAO Corporation. It is the sole distributor of Gandour chocolates, Nutri-C powdered juices, Energen creal drink, Kopiko 3-in-1 coffee, and Promina baby cereal. The event lasted for 4 hours. We learned a lot from the informative talk given by the speakers, and we also brought home a number of Indofood products to try! Thanks, Shiela, for inviting us to this product launch! This entry was posted in Product Launch, Promina. Bookmark the permalink. ka compete ba ito ng cerelac girl? Robinson's Supermarket are selling the product at a much, much higher price. Are the prices you posted, the SRP? If so, Robinson's is definitely very high priced. My 8month old nephew really loves the taste of promina banana flavor… and its very affordable. We haven’t check their prices yet at robinson’s supermarket cos we are buying at tropical foodmart at bf. prices of these products are lower than the SRP. My 6 mo old baby doesn’t like the “Chicken and Vegetables” flavor of Promina. I think he finds it too salty or maybe he has to get used to eat. I heard about salty porridge could have a bad effect on baby’s kidney and may cause death. But the Brown Rice and Soya flavor is good.